[vc_row][vc_column][vc_column_text]Before ‘Disgruntled of Dawley’ writes in, I know this isn’t in Telford. No excuses, no comments about how it housed most of Telford either. The prison closed a few years back and is destined to be converted into student accommodation and Quinoa shops or something but until then, there is a chance you can go and have a look round. The tours last a good couple of hours and your guides are time served prison officers who know this place inside out. They take you through reception, the prison complex and show you the way out either via the prison lodge or the condemned cell. You don’t get to wander round on your own, there are no information boards and this place is all the better for it. The guards tell you anecdotes, happy, funny and sad, that you wouldn’t get from someone that hadn’t spent 38 years (and never drawn his baton) in this environment. Here are the photos, and I recommend you get a tour before the vegans move in. It’s only a short trip down the M54 or right next to the train station. http://www.jailhousetours.com/[/vc_column_text][/vc_column][/vc_row][vc_row][vc_column][vc_gallery type=”image_grid” images=”3491,3490,3487,3492,3486,3485,3484,3483,3482,3489,3481″][/vc_column][/vc_row][vc_row][vc_column width=”1/2″][vc_column_text]During the tour, I discovered things that I would never normally have thought about. No jewellery apart from a wedding ring and a watch up to a value of £30. Welcome packs of tobacco & tea for new arrivals so they didn’t have to borrow from other prisoners where you would be expected to pay back double. 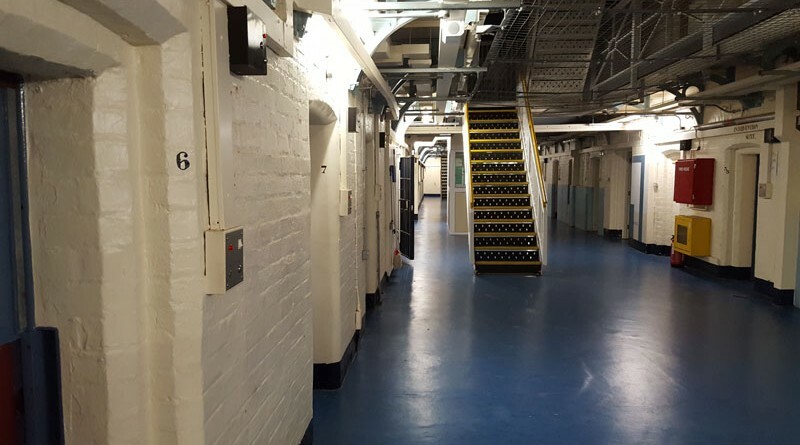 A cell which looked like a suite, or double room. Seemed funny until we we were told that it was what passed for palliative care inside. Last man to leave that cell died of pancreatic cancer. Brings it home. On the positive side, the food at the prison was legendary in the justice system. The inmates got it for free, but the warders had to pay £1.50.